Celebrate all month long with this birthstone ring! 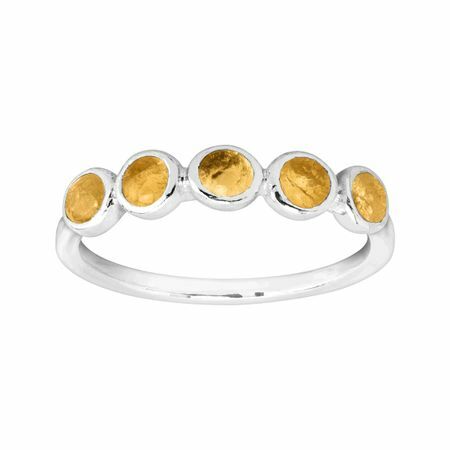 Five warm citrines are bezel-set in sleek sterling silver, making this the perfect treat for yourself or the November-born in your life. Ring face measures 1/8 inches in width. Piece comes with a “.925” sterling silver stamp as a symbol of guaranteed product quality.